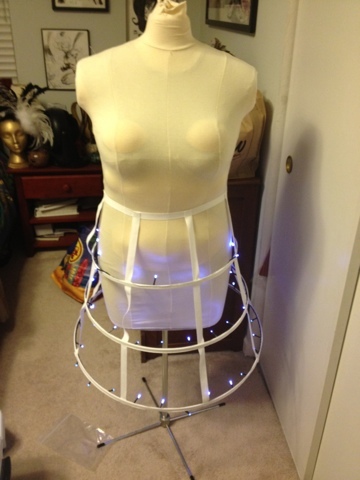 Costuming Drama: Bustle cage has lights! 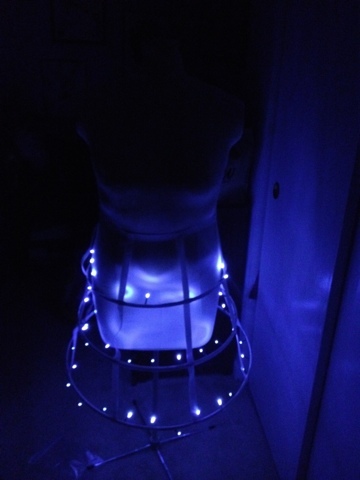 And I have (somewhat blurry) pictures to prove it! Yay!